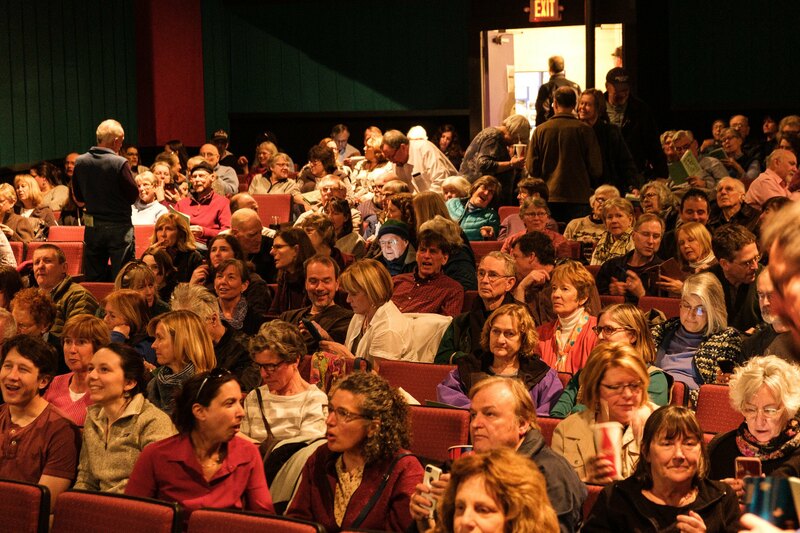 11th Annual Wild & Scenic Film Festival played to a sell-out crowd! It was an energetic and inspirational evening once again! Our 11th Wild & Scenic Film Festival filled Maynard's Fine Arts Theatre Place with movie-goers from throughout our watersheds and beyond. Thank you one and all for joining us. A huge thank you to Will Collura, Mark Grundstrum, Deana Cijan, and Steven Trumble of the Fine Arts Theatre Place for making the evening possible. We also wish to thank our sponsors (below) for their support. And thank you to our favorite emcee EJ Labb for entertaining us. OARS is grateful for the support of the many volunteers and organizations who helped make the evening a huge success! We look forward to seeing you next year at our 12th! Protect, improve and preserve the Assabet, Sudbury and Concord Rivers, their tributaries and watersheds.